A recent project involved a farmer who was suffering with low pressure around his farm buildings, due to only having 20mm pipe installed. Expansion of his business has meant that he has put up additional buildings. He approached Dales Water Services to see if we could help. He was concerned, as he didn’t want to have to dig up his recently concreted yard areas. 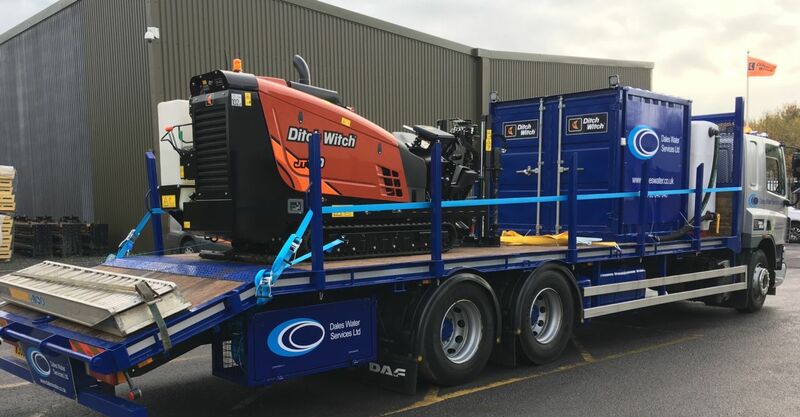 Our Ditch Witch JT10 Horizontal Drilling Rig was deployed to allow our team to install over 200 metres of new 50mm MDPE pipe, with minimal disruption to the farm yard. Prior to any work taking place, our team discussed the site with the customer to establish whether there were any known existing underground services. We then carried out a desk-based analysis to determine whether there would be any underground obstacles to avoid. Following this, we surveyed the area (using our utility scanning equipment) to check for any existing underground services. Our groundworks team attended site and dug out access pits of approx. 600mm square at the points where the new pipe would need to be connected into the existing supply. One of these was inside a building. The next stage was for the directional drilling rig to be used to drill from each access pit to the next. Whilst the drilling is being carried out, the operator is guided by information being sent back to him by his colleague who is tracking the drill bit using our state-of-the-art detection equipment. From this information, we are able to accurately predict the point of entry into the access pit. Once each bore had been drilled, we connected a back-reamer to allow us to pull the new pipe into position. Following the directional drilling work our engineers were able to make the appropriate connections in the access pits and then fill in the pits and make good the surrounding area. There was minimal evidence left behind, which the customer was most pleased with. 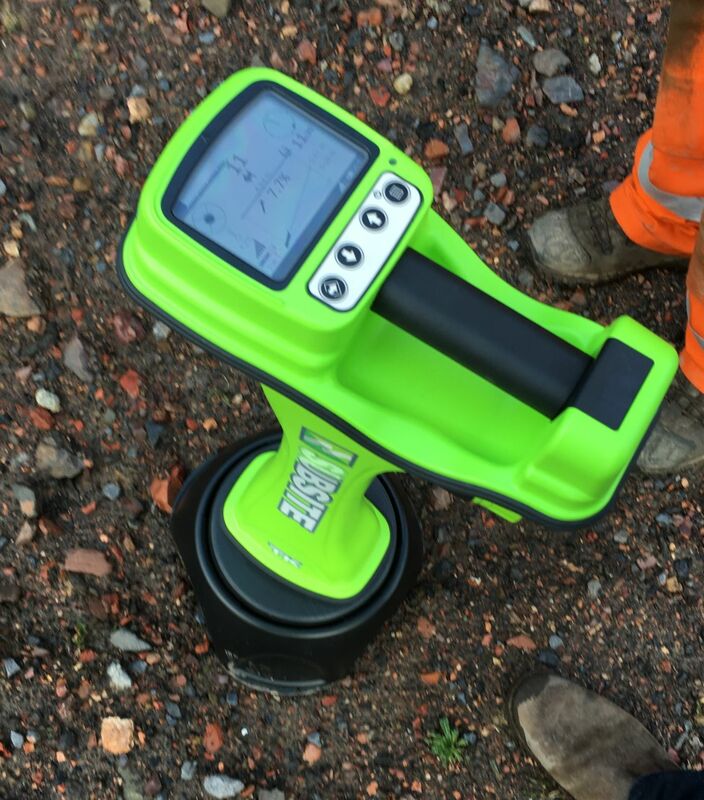 Upon completion of the job, we were able to produce a full set of reports; showing the depth profile of each of the bores we carried out along with a google maps view showing exactly where we laid the pipes.